Link building: Strong and relevant links. 100% link building agency. This service is for those who know what they are doing and just need a number of links. We deliver quality efficiently and effectively. Lad os håndtere dine outreach-kampagner og køb af advertorials. Vi arbejder både på projektbasis og med månedsabonnementer. We offer specialized white label solutions for SEO agencies and consultants who are looking to outsource their link building. Our speciality is link building for businesses and SEO agencies/consultants in Germany, Denmark, Norway and Sweden. We offer tailored link building projects that can vary from as little as a few links to on-going link building campaigns – and the best part is that we do all the work while you get to focus on doing what you’re good at. In addition to content and on-site optimisation, link building is one of the three cornerstones of a good SEO strategy. No matter how hot content marketing is these days, and regardless of how much Google engineers are experimenting with search algorithms that aren’t based on links, even Google has confirmed that it will be a very long time before links will not be a factor in determining a website’s relevance to their users’ searches. That said, even though Google’s search engine remains deeply dependent on links, the world of link building looks very different today compared to just a few years ago. In recent years, Google has been working intensively to reduce the effect of spam and the massive exploitation of the influence of links. The Panda update made the search engine’s algorithm much better at understanding the types of links a website has. Link building done by non-professionals can be hazardous to your business, but if you understand and follow best practice within the field of post-Panda link building, links remain the best way to optimise search result rankings. We are link building experts with years of experience in the field, and we are always up to speed with new updates and international studies. We know what healthy and effective link building looks like in 2018 – and what it will look like in 2020. 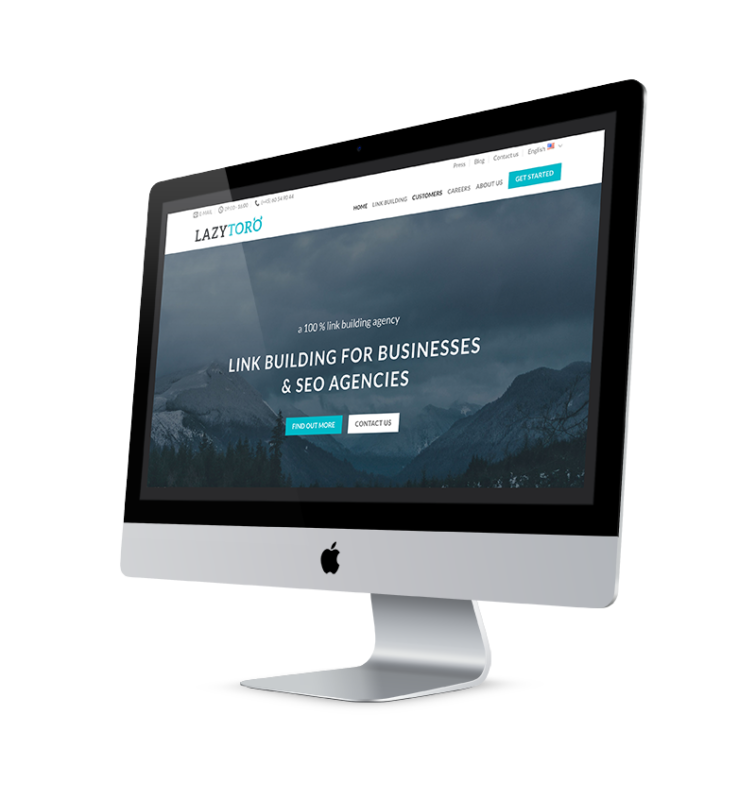 We build links for a wide variety of clients, ranging from small businesses and online retailers to the biggest SEO agencies with thousands of SEO clients, and our solutions are both flexible and extremely scalable. In other words, you can confidently entrust us with your link building efforts – or simply outsource parts of them to us. The choice is yours. We offer all kinds of link building in Germany and Scandinavia; everything from generally well-established websites to outreach, niche blogs, industry websites and editorial links from news media. You probably know what your link building needs are – but if not, we’re happy to advise you on how to put together the perfect mix. Whether we are working with a small business or a major agency, we always make sure that the work we carry out is properly documented via publication plans. This ensures that our processes are always transparent and allows you to assess the link building efforts and the results they yield. 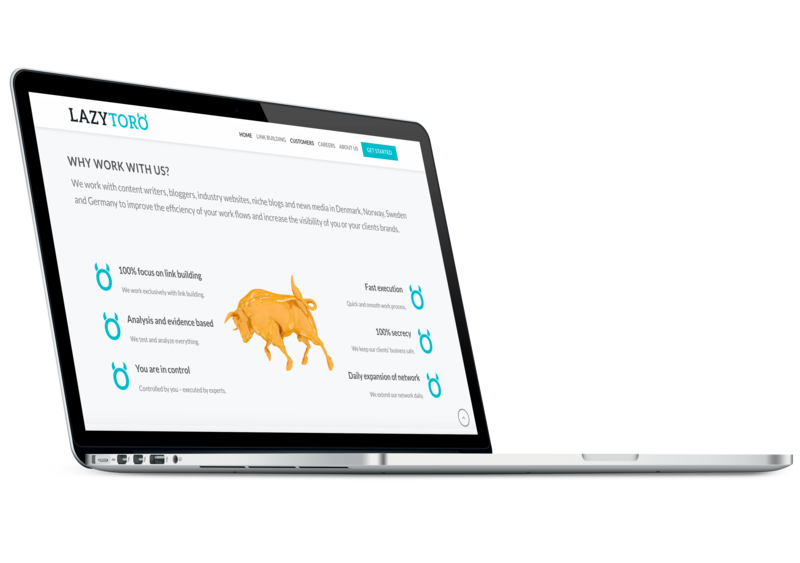 Lazytoro is built to be able to serve agencies and their needs. We provide a 100% white label solution, which you can sell directly as your own. We are already the engine behind a growing group of small, medium-sized and major agencies across Scandinavia. All our solutions are designed to be resold, and they are uncomplicated and highly scalable. You manage the relationship with the end customer and you’re the only contact point. 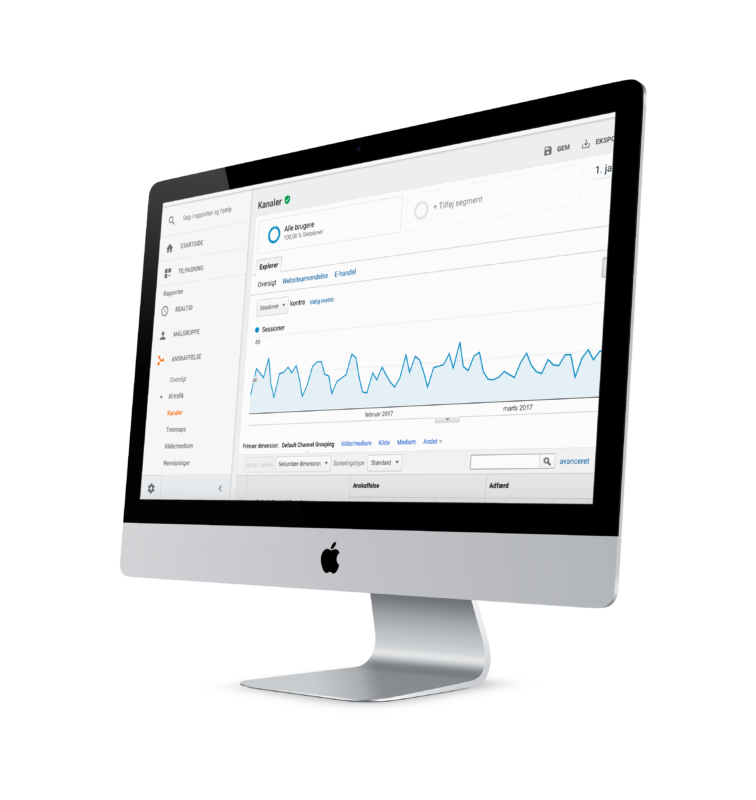 Our link building solutions are 100% white label, meaning the links we build become an integrated part of the overall SEO solution your client has purchased from you. We are based in Scandinavia, which is also where we have an extensive personal network. 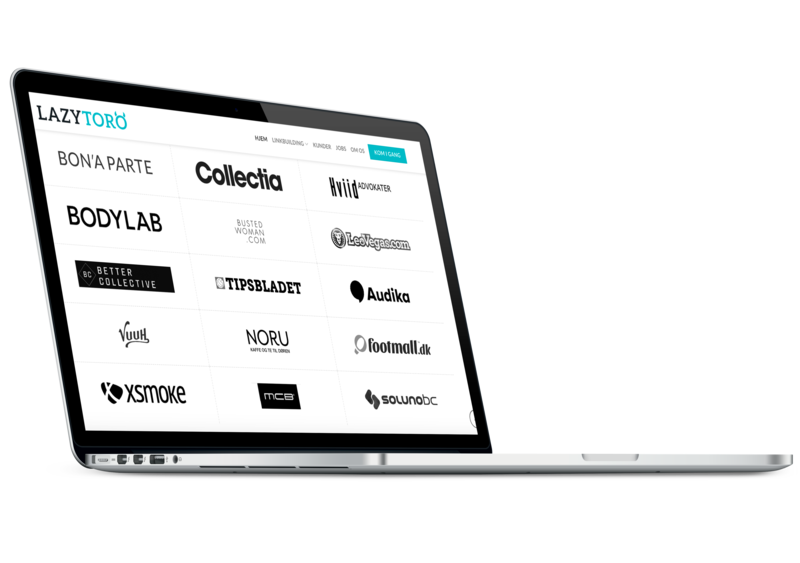 If you have any business interests in Norway, Sweden, Denmark or Germany, or clients with e-commerce sites in Scandinavia and Germany, Lazytoro can help both of you. Our experience tells us that link building is the SEO discipline that many people find the most challenging! This is particularly true of large-scale link building efforts, which is what most SEO agencies need. Link building is our speciality, and because we at Lazytoro are SEO people ourselves, we speak your language. We understand your business, which is why we are able to provide solutions that are as smooth as possible. Our aim is for you and us to waste as little time as possible on unnecessary communication. We work efficiently and constantly try to optimise our own workflows in order to deliver quality as well as quantity as fast as possible. We tend to think a few steps ahead, which prepares us for even the most challenging projects and allows us to fulfil all your link building needs. We are very aware of our position as a subcontractor for bigger agencies which compete against one another, and who in turn have clients who compete against one another as well. This is why we operate with a policy of 100% confidentiality, which we take very seriously. 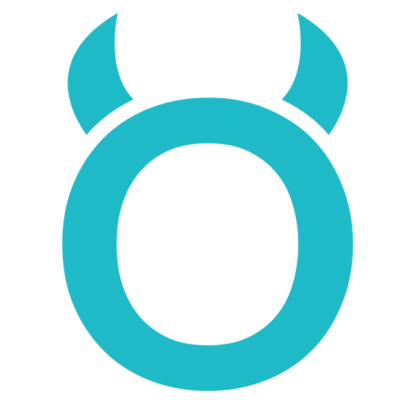 We are happy to sign a non-disclosure agreement if necessary, but even without one you can be completely confident that any information you pass on about your agency or clients to will be treated with the utmost confidentiality at Lazytoro. So if you want to focus on what do best, let Lazytoro handle everything else for you. If you would like to know more about how we can help you please fill in the form. What happens after you write us?